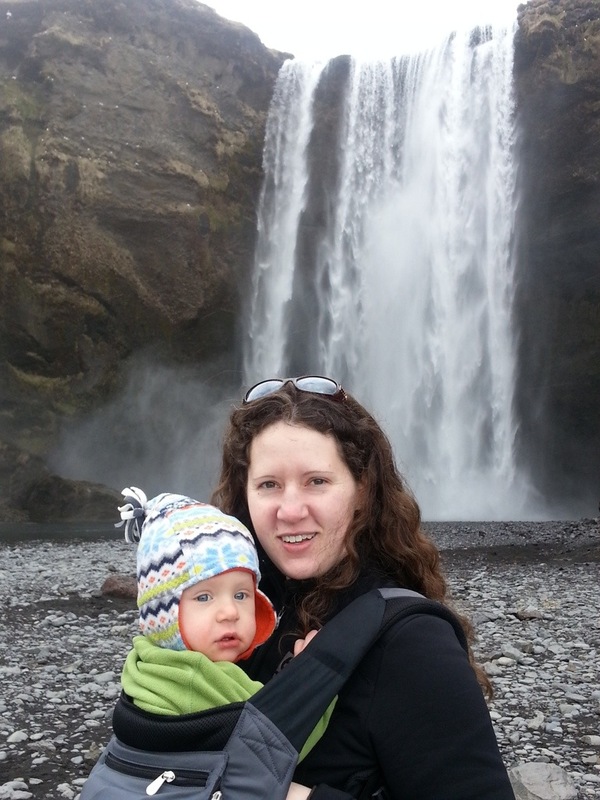 ← Our 5 Ws — a lighthearted babywearing family poem! We, Manuel, Ashley, and Sebastian, are a German-American family who currently declare ‘home’ as Delaware. Each year we will be celebrating Sebastian’s birthday in a different country. 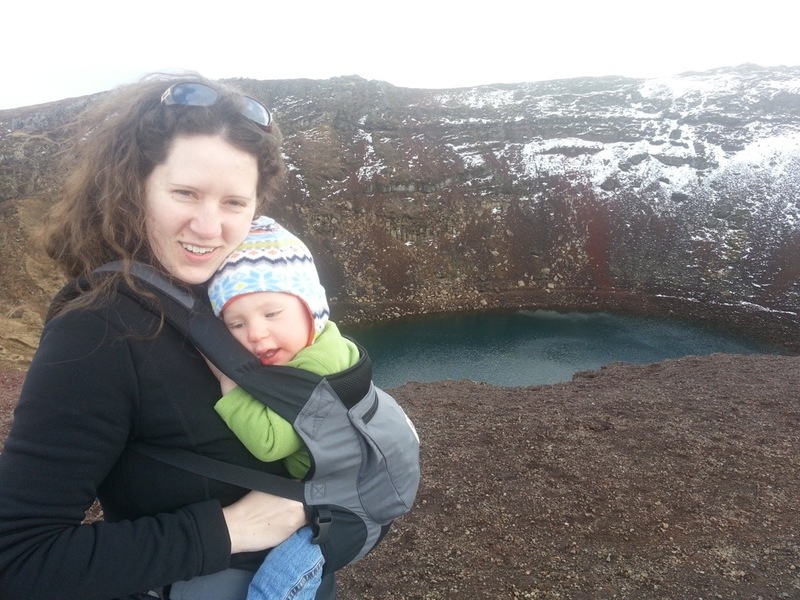 For his first birthday, in April 2013, we celebrated in Iceland. 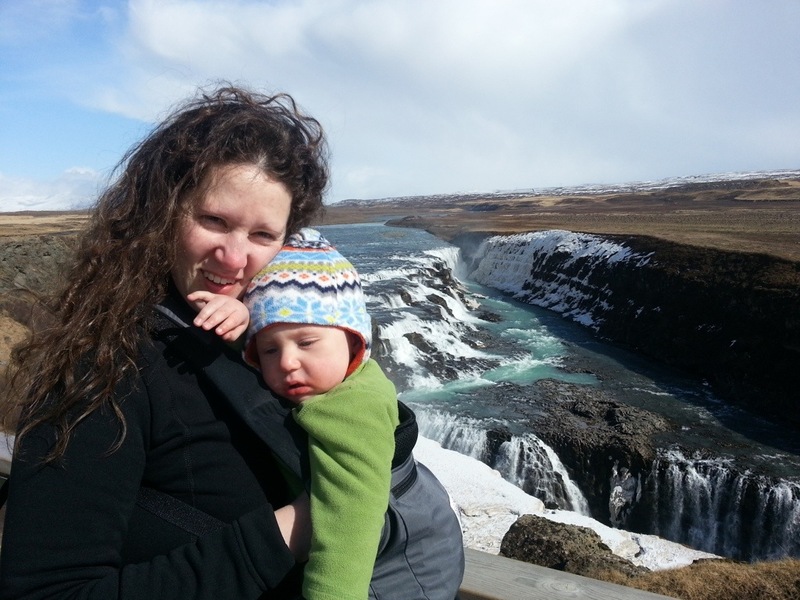 We used our Ergo Performance daily throughout our trip, and without it, 90% of the activities that we experienced with Sebastian would not have been possible. 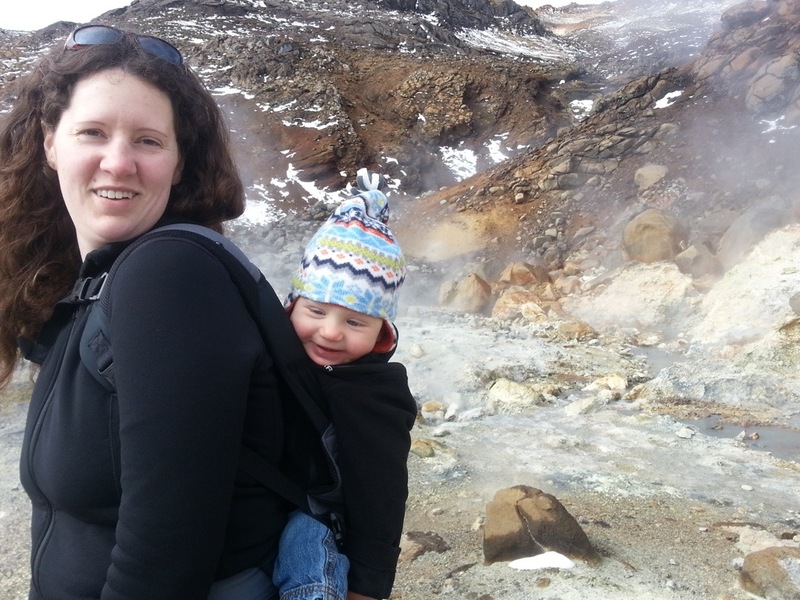 Not only did babywearing allow us to have access to areas that most people would consider unthinkable with a baby or child, but babywearing allowed me to keep Sebastian close and warm in a very cold and unpredictable climate with Gale force winds. Þingvellir National Park consists of Iceland’s largest natural lake, the original parliament site, and the site of the Mid-Atlantic ridge where the Eurasian plate and North American plate are slowly seperating. Seljalandsfoss (two photos) is one of Iceland’s most famous waterfalls, and the site of the most extreme hiking I have ever done in my life! 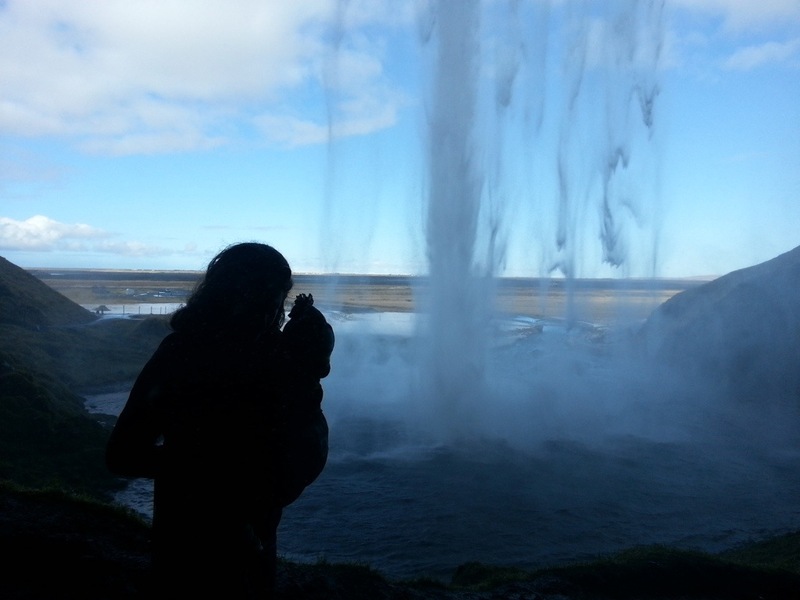 After scaling a great height of wet boulders, you can walk behind the waterfall to capture its true beauty! 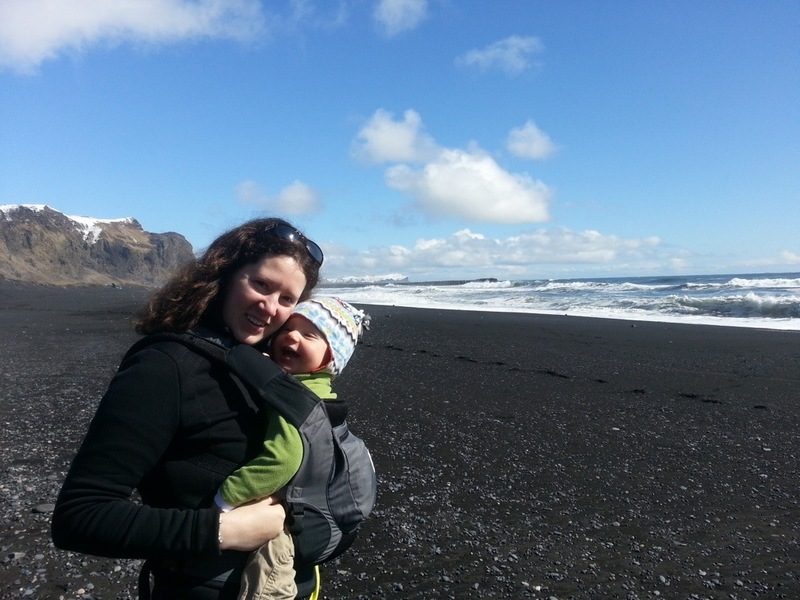 Reynisfjara (two photos – South Coast near Vik) Iceland’s black beaches, large rock formations, and puffins. Seltun – beautiful geothermal fields of bright yellow, red, and green; bubbling with hot pots and an unforgettable and overwhelming rotten egg smell from the sulphur! After spending several days in the Ergo, my son was getting restless for the first time. 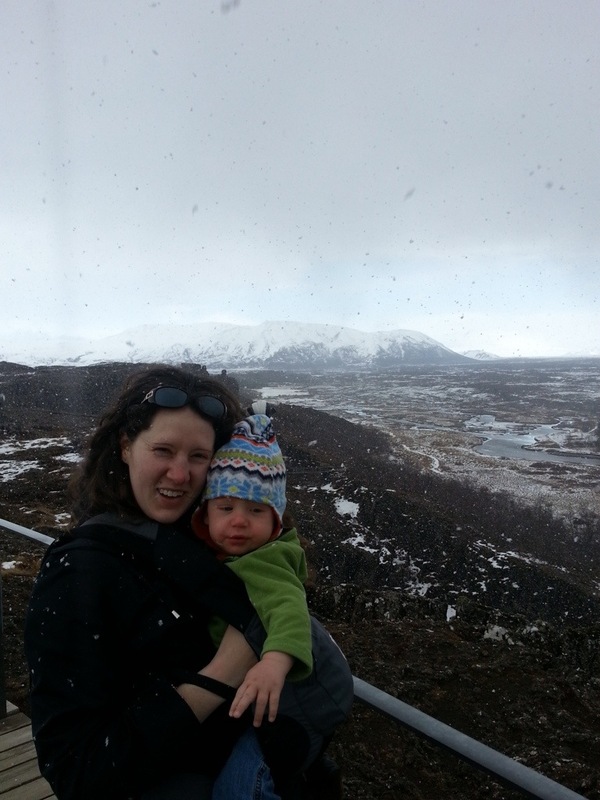 We switched things up in the middle of the snow covered lava fields, and did our first ever back carry! 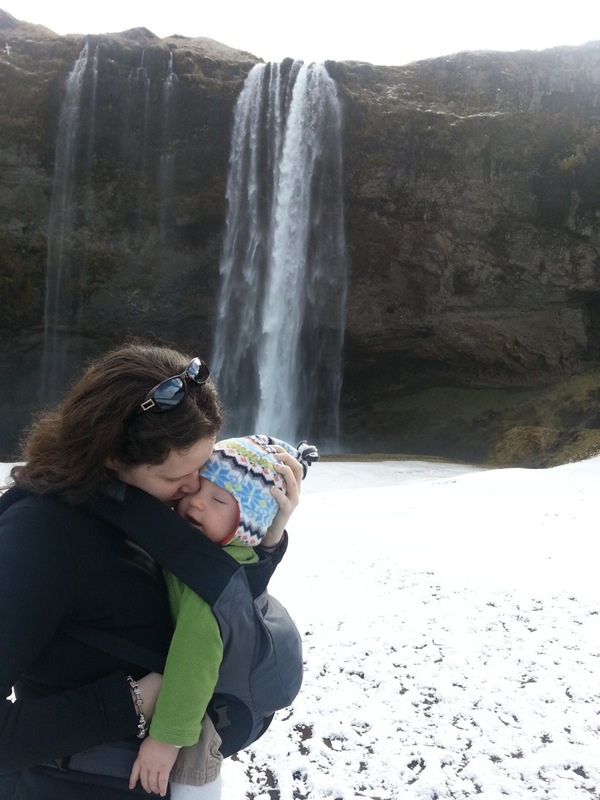 Mama was a nervous wreck with no confidence, while Sebastian looks like he was having a blast!